Is it just me or is summer really flying by? I feel like every year when I realize this I try to make a conscious effort to slow down the days, but a new week always seems to come too soon. If you follow me on Instagram you will have seen some of these summer scenes. I have been basking in beautiful peonies from the garden, enjoying pool days and trips to the farmer's market. It also seems Brandon and I have also started a new tradition of going to the Niagara on the Lake area for long weekends. It is so peaceful and relaxing down by the water, and there is plenty to do. On our last visit, besides relaxing vine side, we went antiquing and bought copious amounts of freshly picked fruits and veggies. It's all about the simpler things! And I can't forget trying some fabulous new (to me) restaurants in the city. Some of these include Pizzeria Libretto, which is probably the best Neapolitan pizza I have had outside of Italy, and Bakerbots Baking (the ice cream sandwiches are incredible). And any trip to Port Colborne isn't complete without a stop in a The Smokin' Buddha. 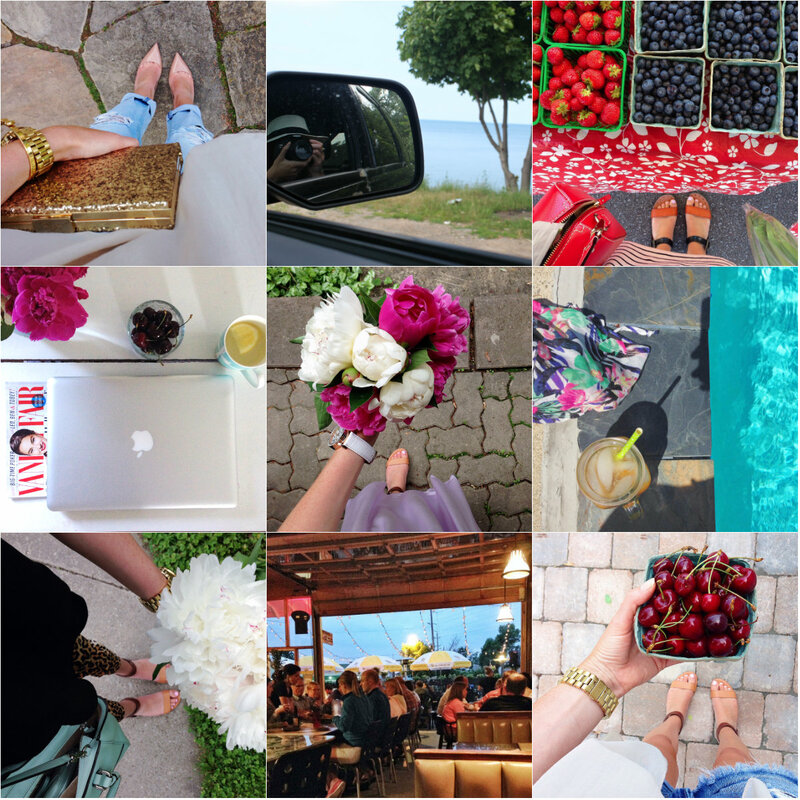 Hope you all are enjoying your summer, and my recent posts from our travels!